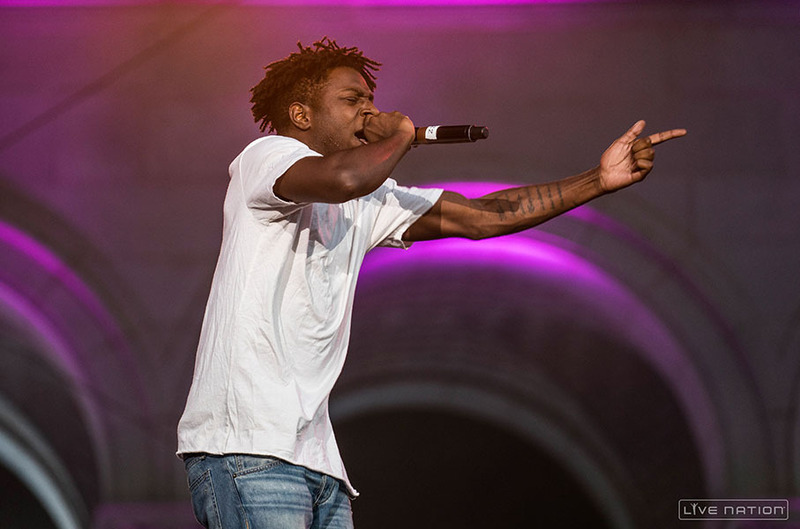 A.S. Concerts and Events announced that Isaiah Rashad will headline UCSD’s sixth annual Hullabaloo. The festival will take place at Matthews Quad on Nov. 18 at 8 p.m.
Rashad, born in Chattanooga, Tennessee, is a rapper signed to Top Dawg Entertainment — the same label that houses Kendrick Lamar, Schoolboy Q and many others. His debut extended play “Cilvia Demo,” which contains 14 tracks, was released in 2014 to critical and commercial success. In addition to peaking at 40th on the Billboard 200, the project was rated 8.2 out of 10 by Pitchfork Media and four out of five stars by BET, Spin, Consequence of Sound, HipHopDX and XXL. One of Rashad’s most popular singles, “I Shot You Down,” was released prior to “Cilvia Demo” but has a remix on the EP featuring Schoolboy Q and Jay Rock. The track’s music video currently has over four million views on YouTube. His follow up, “The Sun’s Tirade,” reached an even wider audience, debuting at No. 17 on the Billboard 200. The project, which carries a total of 17 tracks, also sustained his critical following, as it was rated 8.1 out of 10 by Pitchfork and over four out of five stars by Spin, Consequence of Sound, HipHopDX, XXL and AllMusic. The music video for Rashad’s single “4r Da Squaw” currently has more than five million views on YouTube. Other performers include Andrew Luce, who performed at Coachella, and Tennyson, a brother and sister electronic duo from Canada. Former Hullabaloo headliners include fellow rappers Lil’ Dicky in 2015, Logic in 2014 and Chance the Rapper in 2013. Entry to the festival is free for all UCSD undergraduates (with valid student ID). Information regarding how to register will be coming soon.